Why Gloria Christi Preschool/Daycare? Because we are serious about Jesus, His Word and setting the Christian foundation for your child when this privilege is entrusted to us in these early years. 2012-2013 School Year now in progress. NOW ENROLLING FOR THE 2012-2013 SCHOOL YEAR! Jesus:Let the little children come to Me, and do not forbid them; for of such is the kingdom of God. in a biblically faithful and caring way. 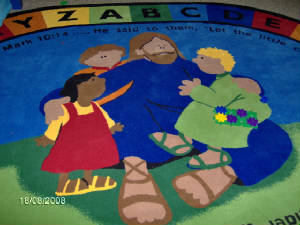 To read more about the Preschool/Daycare and its Mission, CLICK HERE. 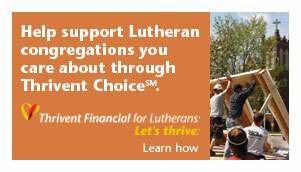 For current TUITION RATES, click here. To view, download, or print current REGISTRATION FORMS for 2012-2013, Click Here. EMPLOYMENT APPLICATION: To download a copy of our employment application, Click Here. HOW DO I GET TO GLORIA CHRISTI (map)? 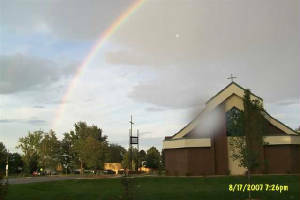 Our preschool/daycare is an outreach of Gloria Christi Lutheran Church. We desire to reach the children and their families with the saving good news of Jesus Christ, the crucified and risen Lord. As a part of this we also encourage families of preschool children to come and visit our Bible studies and Divine Services and to talk with the pastor about Baptism and instruction in the faith. We hope that those families who send their children to Gloria Christi Preschool/Daycare will become members of our congregation family through catechesis and Baptism. Please talk to the pastor if you are interested in becoming a member and he will be glad to discuss catechetical instruction toward communicant membership (Acts 2:42; Matthew 28:19-20). He is also available to discuss the sacrament of Holy Baptism if any of your family members are not yet baptized in the name of the Father and of the Son and of the Holy Spirit (see Matthew 28:16-20; John 3:5; Acts 2:38-38; Titus 3:5). Our Sunday Services are at 8:00 and 10:30 AM and Sunday School is held at 9:15 AM.